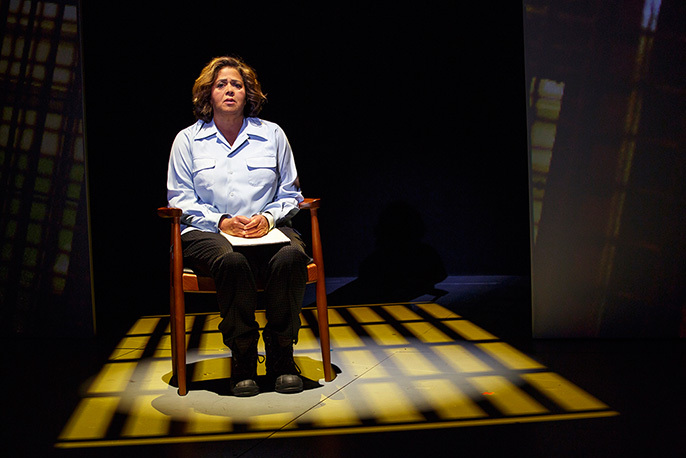 Best known for her role in The West Wing and Nurse Jackie, Anna Deavere Smith returns to the Royal Court Theatre in this powerful one-woman performance examining America’s poverty to prison pipeline. Drawn from interviews with more than 250 students, parents, teachers and staff caught up in America’s poverty to prison pipeline, Notes From the Field is an arresting performance that shines light on a lost generation of American youth. With live music from bassist Marcus Shelby, the Obie Award winning performance exposes a justice system that pushes youth of colour living in poverty out of the classroom and into prison. Presented by LIFT and The Royal Court Theatre with support from Jordan Roth. Info: Notes From the Field by Anna Deavere Smith (The West Wing) is at the Royal Court from 13 -23 June 2018 | book tickets | SPECIAL OFFER Get £15 tickets for the first three performances of Notes From the Field using promo code SMITH15 at the Box Office or on the website. Limited availability, valid on Band AA-C tickets (usually £20-£49) for performances at 7.30pm on 13-14 Jun & 2.30pm on 14 Jun.